Apple’s rumored 4-inch iPhone 5se and the new iPad Air 3 will be hitting retail channels on the 18th of March, according to a newly published report. The new bit of information comes from 9to5Mac’s sources, and they say that the iPhone 5se and iPad Air 3 will be available to buy on the 18th of March, just three days after announcement on the 15th. The report also says that the devices won’t be available for pre-order and you will be able to pick either one directly from an Apple Store directly on the 18th. But it’s quite possible that Apple’s plan could change as we approach the release day. It’s very rare for Apple to make such a move – announce new hardware and put them up for sale soon after. In fact, Apple usually pulls off such a feat whenever it announces new Mac hardware, such as MacBooks, but when it comes to higher end products, the company usually gives the customer at least a 2 week space before it can actually be bought. The iPhone 5se is highly likely meant for users who aren’t willing to jump the gun and go directly for a 4.7 or 5.5-inch iPhone. Instead, it seems as though the Cupertino company is aiming to bring flagship features to a smaller device while also pushing the boundaries in terms of technology, as the iPhone 5se is rumored to feature NFC for Apple Pay while also bringing forth Live Photos and always-on Siri. The iPad Air 3 on the other hand is a long overdue refresh, and it’s a tablet rumored to be made in the image of the iPad Pro, which is a 12.9-inch offering. 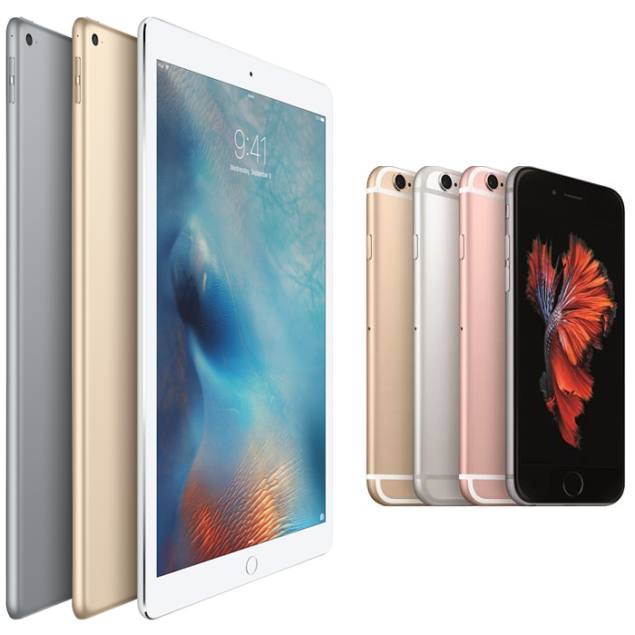 The iPad Air 3 will of course sport a 9.7-inch display but will come with iPad Pro-esque hardware, such as a Smart Connector for connecting accessories, as well as the new four way speaker system, allowing for a truly immersive audio experience while listening to music or just watching a movie. The device is also rumored to feature support for the Apple Pencil, making the iPad Air 3 a great tablet for designers who want the characteristics of the iPad Pro but a portability of a smaller tablet. We’re quite certain that there are a lot of details which are missing from the table and Apple will unveil them all on the 15th, so mark your calendars for that day as we’ll be covering each and every single announcement in great detail.